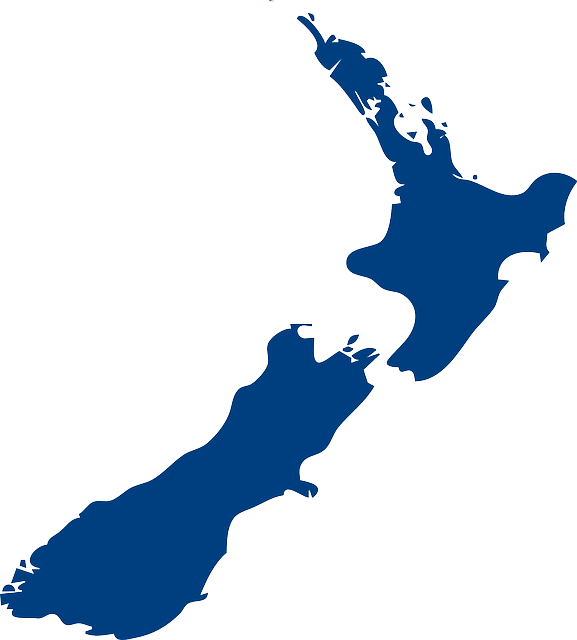 New Zealand’s Best Places for Jet Boating | POMS AWAY! I love jet boating. You get all the thrill of a rollercoaster ride, but you’re surrounded by beautiful scenery. Plus it’s a great way to cool off. Jet boating is kind of a big thing in New Zealand. It was invented here, after all. I’ve been jet boating all over the country, so where’s the best place for it? – let the countdown begin! My first ever New Zealand jet boating experience was on Lake Rotorua. It was tame in comparison to other experiences on this list, but still fun. It was a great way to see the lake and learn about Rotorua’s history – a sort of half thrill ride, half informative tour. 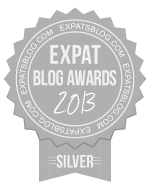 Check out the Kawarau Jet website if you’re interested. Taking a cruise around Auckland’s Hauraki Gulf is a fantastic experience. There’s so much to see, including the impressive island volcano of Rangitoto, pods of dolphins and the Auckland City skyline itself. Add to that a few heart-stopping spins and you’ve got one hell of a jet boat ride. You can find Auckland Jet Boat Tours down at the Auckland Viaduct Harbour. My family visited Christchurch on our South Island campervan holiday. It has a few jet boating options. To the north there’s the Waimakariri, a beautiful braided river that flows from the Southern Alps through a canyon, so you’ve got stunning mountain scenery, waterfalls, cliffs and wildlife, as well as high-speed thrills in clear water that’s sometimes worryingly shallow. To the south there’s the Rakaia Gorge, which featured in The Amazing Race and is just as beautiful. Check out Waimak Alpine Jet, Jet Thrills or Discovery Jet. To the north of Lake Taupo lies New Zealand’s most visited natural attraction: the Huka Falls. They’re a pretty impressive sight from the bridge that crosses them – I stood there for ages. But my boyfriend has been right up to the bottom of them in the Hukafalls Jet, and there’s no better view than that. 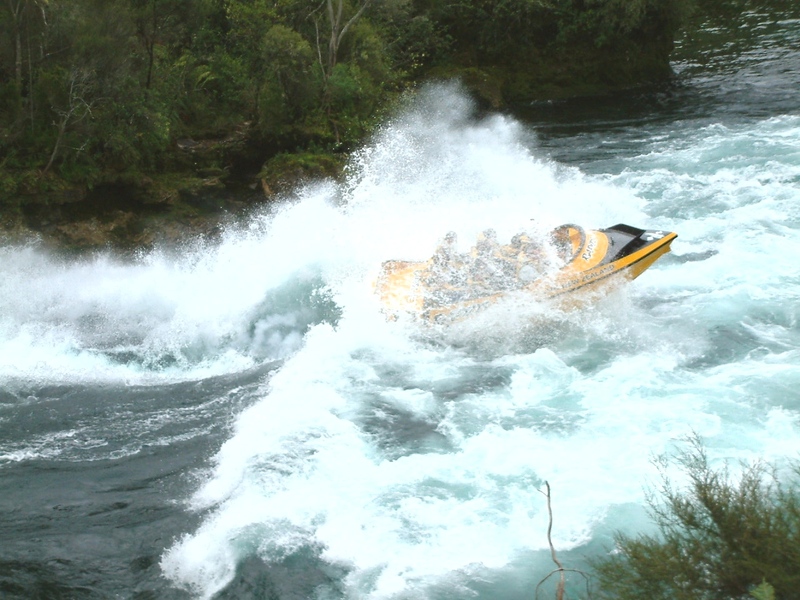 Despite the ferocity of the falls themselves, however, the river leading up to it is quite calm, so if you’re looking for a more hair-raising jet boat ride in Taupo then try Rapids Jet. That’s what my family did – it’s where all the photos in this article come from. 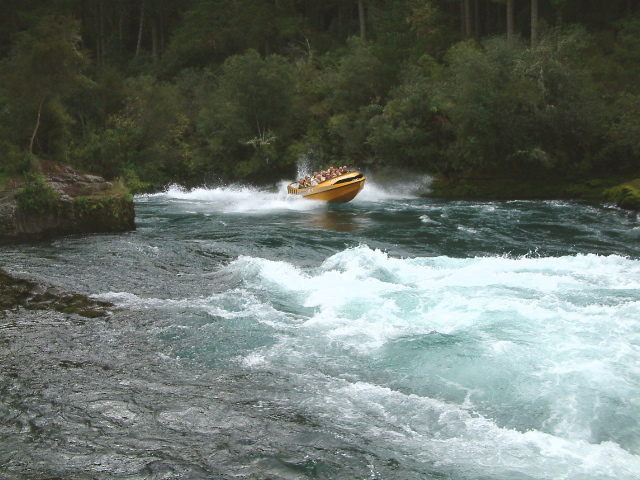 Jet boating on rapids is so much better than doing it on flat water – there are only so many spins you can do before it gets boring. 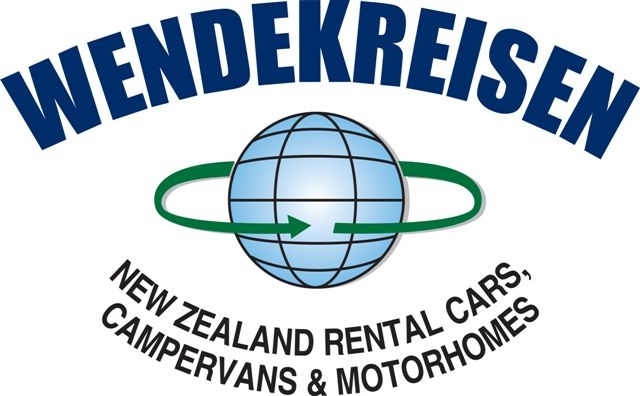 Queenstown is one of the many places my family’s taken a campervan rental in New Zealand. It was during that holiday that I had the best jet boating experience of my life. 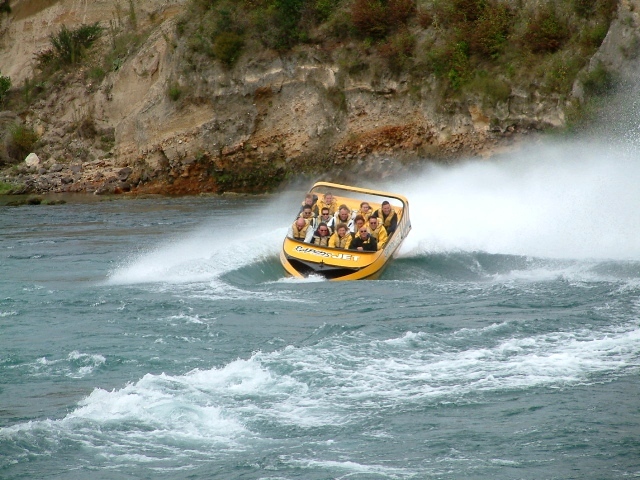 It makes sense – Queenstown is New Zealand’s adventure capital; there are heaps of jet boat operators in and around it. Lake Wanaka, for example, is a gorgeous glacial lake with a backdrop of snow-capped mountains – imagine jet boating there! There are simply too many incredible places to choose from, but I think you’d find it difficult to top the Shotover River Canyons. The Shotover Jet was just… wow. The ride and the scenery were both breath-taking. It was scary – the boat actually left the water at times, skimming over rocks and around canyon walls. The colours of the walls and the water seemed unreal. I spent the entire ride simply marvelling at the nature around me. And screaming with delight, of course. Gosh, I haven’t been jet boating in a while and writing this article is making me want to go again! Pity it’s an expensive thing to do. For a cheaper (and slower) water activity, you could try kayaking. Check out my 10 Awesome Places to Go Kayaking in New Zealand. 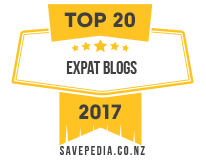 This entry was posted in Nature, Tourist Experiences, Travel Advice and tagged adventure travel, best places to go jet boating in New Zealand, Hamilton Jet, jet boat in New Zealand, jet boating, New Zealand, things to do in New Zealand, Top 5 Places to Go Jet Boating in New Zealand, what to do in Auckland, what to do in Christchurch, what to do in Queenstown, what to do in Rotorua, what to do in Taupo.